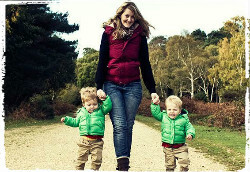 Mention Parent Friendly Stays when you book a family holiday at Lancombe and receive an exclusive 5% discount! Lancombe is located 2 miles west of Maiden Newton in the heart of Dorset. It about 8 miles from Dorchester, a historic market town situated on the banks of River Frome and 7 miles from Beaminster a prosperous market town with lovely walks to the tranquil River Brit. It’s 17 miles from the Dorset beaches including seaside towns Weymouth and Portland. Nearby family friendly attractions include The Dinosaur Museum and Teddy Bear Museum, both in Dorchester, and Abbortsbury Children’s Farm. Lancombe features 6 cottages which all overlook the landscaped courtyard from one side and the woodlands from the other. All six cottages are traditionally flint and brick built and come with all essential baby equipment. The cottages range from 2-6 beds. A family holiday for two adults and two children during the summer school holidays costs about £1000 but drops to £370 for the week off peak. The complex also has three lodges which are set away from the courtyard and therefore more secluded. 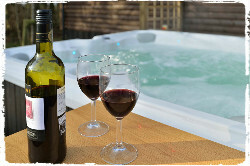 The lodges are all on one level and all have a decked terrace with lovely views of the countryside. The lodges sleep 2, 4 and 6 (plus cots). The larger lodge also has a private hot tub. The cost of a lodge during the school summer holidays for two adults and two children is about £800 and drops to around £300 off peak. For those interested in a glamping experience there are four Shepherd huts which are situated in the furthest point of the complex. These are surrounded by meadow and woodland and can be used all year round. The huts sleep four and cost about £550 for a week in the summer holidays and about £475 off peak. Lancombe has plenty to keep the children occupied. There is an indoor heated swimming pool with plenty of inflatable toys for the children to use which is great for keeping young ones occupied whatever the weather. There is a games room which has an air hockey table, a football table, books and games for the children to help themselves to (children can be as loud as they want as they are far enough away from the cottages!). There is chicken feeding and egg collecting for the children which in our experience is a wholesome and really fun activity to be enjoyed by all the family. The woodland is full of magic so send the children on a fairy hunt where they have to search for the fairy houses amongst the trees. For some relaxing family time there is a DVD and games library on site. 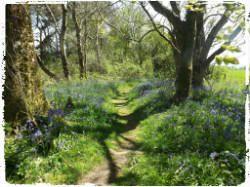 Lancombe has a vast amount of garden and woodlands for the children to explore as well as an outdoor play area to burn off some energy or as a family, venture out for a ramble on one of the trails which are right on the doorstep. After a swim with the children parents can relax in the sauna or even book a beauty or massage treatment in the comfort of your holiday accommodation. On the summer evenings mums and dads can come together to BBQ in the communal BBQ area; or simply stroll around the vast grounds and enjoy the breath-taking scenery. Lancombe benefits from an onsite shop which sells plenty of local produce should you not wish to leave the site and saves you visiting a local supermarket; you can also borrow books free of charge. Baby equipment is available in all the accommodation types and there is free WIFI available on site. 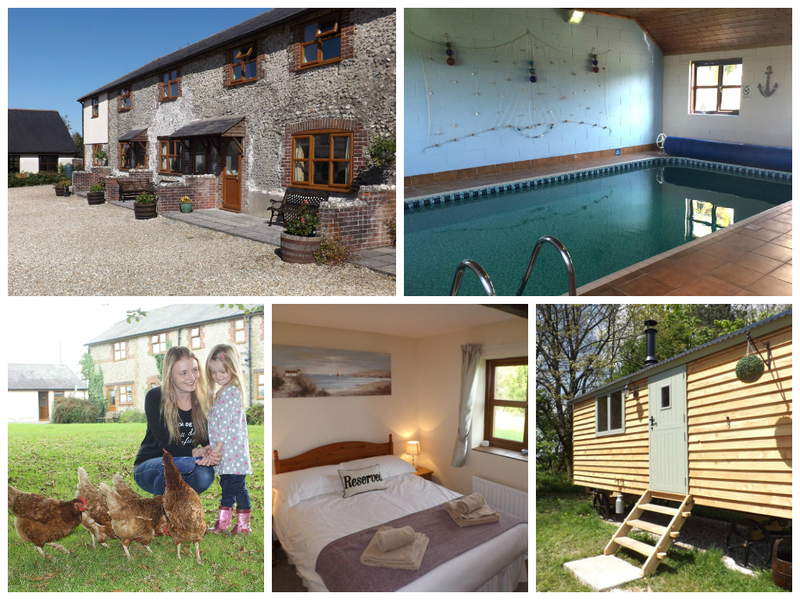 At Parent Friendly Stays we love beautiful Dorset for family holidays and Lancombe Country Cottages is in an excellent location to enjoy all that the county has to offer. 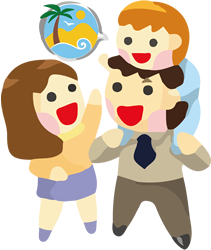 It has plenty to keep both children and parents happy and it seems excellent value for money. If you’d like to find out more about family friendly holidays at Lancombe Country Cottages, including booking and availability enquiries, just fill out the form below.